What is Fascia and How Does Fascia Affect Your Fitness Performance? Home » Ask The Trainer Blog » Physical Fitness » What is Fascia? How Does Your Fascia Affect Your Fitness? So what is fascia? The simple definition: fascia is the fiber and glue that holds your body together. The term “fascia” includes all the connective tissues in your body. Fascial tissue forms sheets, sheaths, bands, and webs that wrap, interpenetrate, connect, stabilize, and support all your muscles, organs, bones, nerves, and blood vessels. Fascia is mostly made of collagen (which is the strongest form of fascia, and alone has 12 different types), but also includes elastin, fibrin, and other types of fascial tissue. The fascial system includes tendons, ligaments, aponeuroses, joint capsules, meninges, and more. Traditional anatomy and physiology and kinesiology texts make little mention of the roles of fascia in body movement and will often show most of the fascia stripped away, giving the mistaken impression that movement is all about muscles pulling on bones and nothing more. Fascia is everywhere in your body! If you magically removed everything in your body except the fascia, you would still have a complete picture of exactly what you look like. Even abnormalities like the shape of the healed fracture in your collarbone, for example, show up your fascial web. In discussions of anatomy and kinesiology, we often describe body parts and movements in terms of the separate body parts that fulfill each role. We talk about biceps and lats, glutes and hamstrings, pecs and triceps. These are separate muscle structures that contract to produce typical movements. Of course, this is an oversimplification when you consider all the stabilizing muscles that are also contracting in different phases of any given movement, but the muscles at work are easier to parse out and better understood. In terms of fascia, although there are noticeable landmarks such as the thoracolumbar fascia of the lower spine, the nuchal ligament of the neck, and the plantar fascia of the foot, the fascial system is really ONE structure with no real divisions. The fascial system is often compared to the yarn in a sweater; although there are different parts to the sweater, it’s all one piece ultimately interconnected to every other part. The majority of injuries involve the connective tissue such as tendons and ligaments (the fascial system) rather than to the muscles themselves. Considering that there are several times as many nerve endings in fascia when compared to muscle tissue, that goes a long way to explain the persistent pain associated with such injuries! So why are there more fascia injuries than muscle injuries? One reason is that fascial tissue is slower to adapt to training than muscle tissue. In other words, your muscles become stronger more quickly than your fascia. While your muscles may be ready for a certain type of training or heavy volume of training, your fascia may be lagging behind. Trying to do too much too soon or placing too high of a demand on the fascia can result in trauma to the tissue. This is yet another good rationale for a sensible, progressive training program which includes the often-overlooked components of flexibility, balance, and proprioception in addition to weight lifting and cardio fitness! The good news is that while fascia is slower to adapt to new stresses, it DOES indeed adapt with time and training. Like other tissue types, fascia becomes stiffer, denser, and stronger with use, and will remodel along lines of stress. This means that you can train your fascia to support the types of movements you need to do. Fascia is much slower to adapt than muscle tissue. This accounts for many common injuries in the sports and fitness world. The muscles become stronger and capable of moving heavier weights before the fascia is ready to support such heavy loads. It’s tempting to push yourself to the limits of your muscles, but keep your fascia in mind and take a more conservative pace when upping your workload. While strengthening the fascia is a good thing in itself, remember that flexibility and elasticity is also important. Self-myofascial release (using a foam roller or other implement) and stretching techniques prevent the fascia from becoming too tight and tense. Overly dense and tight fascia will restrict natural movement and can lead to injuries along the movement chain. Remember that a certain amount of repetition is necessary to adapt to new stresses and thus become more fit, but there is such a thing as “too much of a good thing”. It’s important to add variety to your training by mixing in different types of exercises and moving in multiple planes of motion to avoid overtraining certain patterns and sacrificing the quality of others. Another benefit of maintaining and increasing fascial elasticity is that your muscles don’t have to work as hard to produce force. Runners with healthy elastic fascia can go longer with less energy expenditure due to fascia “bouncing back” and helping to propel their movements. Weight lifters and athletes of all stripes can also perform at higher levels by capitalizing on the properties of healthy elastic fascia: picture the fascia as a slingshot being drawn back. Translate that to a pitcher winding up or dipping down into a squat before you jump up. With these points in mind, it’s easier to picture the havoc stiff, unlubricated, inflexible fascia can wreak on your movements. The most important ways to care for your fascia are simple: get moving and drink enough water. Everyday activities you can do on your own include stretching, foam rolling, and weight bearing exercise such as dance and weight training. And never forget to pay attention to your fluid intake! An easy guideline to follow is to drink half your body weight in ounces of water daily. For example, a 150 pound person should drink 75 ounces of water per day. 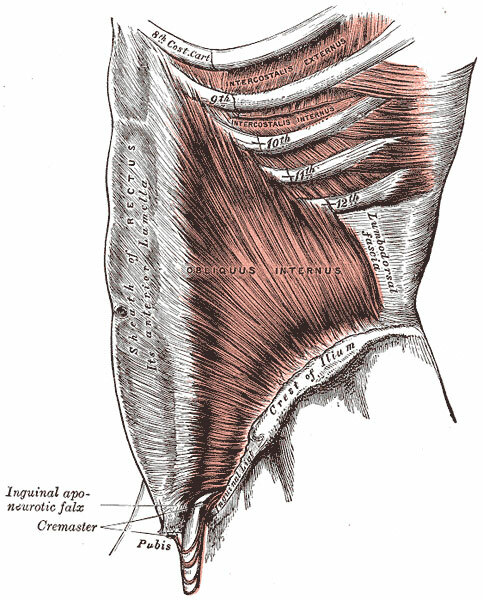 Massage and other types of bodywork can also be extremely helpful in caring for your fascia. As you’ve seen, fascia is widespread yet underrepresented, providing a 3D map of your body even with everything else removed. Most sports injuries affect the fascial system rather than muscle tissue. Finally, fascia affects the quality of your movements and your fascial network can even be trained to become stronger and more flexible. Although fascia is not yet fully understood, expect even more fascinating findings to emerge as fascia research proceeds.